Five months on from its publication, it is time to revisit AKs and Lollipops. 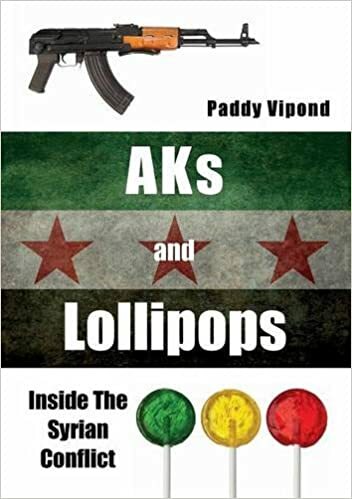 It has been 161 days since the publication of AKs and Lollipops: Inside the Syrian Conflict and as far as I am aware, things are going well. Newspapers and TV channels aren’t harassing me over the phone and I am yet to be stopped in the street, but sales were never going to be huge. Passing the triple figures mark in terms of books sold is a milestone that I am happy to reach. I would be dishonest if I were to say that book sales didn’t concern me because selfishly it would give me pride to know that I have published something that can be deemed even a minor success. More importantly though, and on a less selfish note, the more books that are the sold, the more money will go to charity. And that is what motivates me to plug my book when I can.